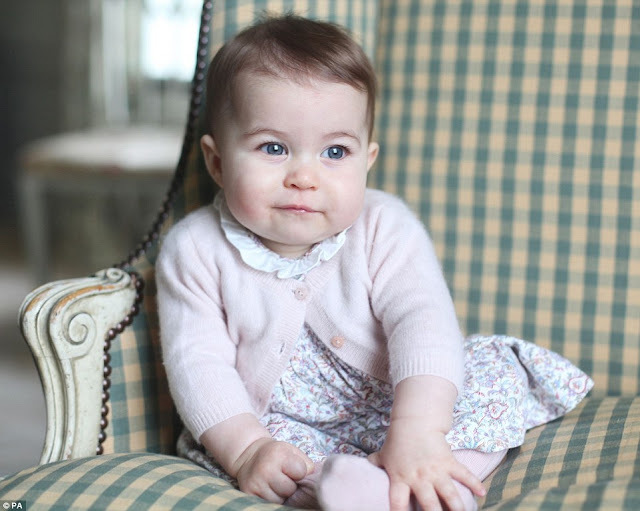 The Duke and Duchess of Cambridge have provided us with an adorable dose of cuteness by releasing photographs of six month old Princess Charlotte. The cherubic baby girl, who was born earlier this year, and is fourth in line to the throne, is surely a bundle of joy that is evident from the pictures. The brunette princess has clearly taken after her mother, while elder brother Prince George has inherited his father's blonde locks. Princess Charlotte Elizabeth Diana is photographed by mother Kate Middleton, as she lensed Prince George and Princess Charlotte, when the girl was just two weeks old, with her Canon EOS 5D Mark II. 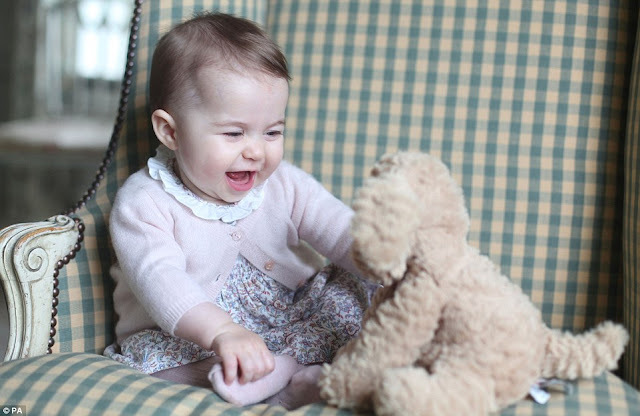 The darling little girl is seen smiling at a toy puppy, and in another snap with a sombre expression, while decked in a collared floral printed frock and a pink cardigan and pale tights. Princess Charlotte has been described as 'lady-like' and 'well-behaved- as compared to her boisterous brother Prince George, by dotting father William.